The University had just started functioning, the masters class in Physics was in progress. The reader taking up the class decided to enliven it a bit, by taking up a problem that was at the centerpoint of most scientific discussions then. Planck’s Radiation Law, which described the spectral density of elctromagnetic radiation, emitted by a black body in thermal equlibrium at a given temperature T.
A good twenty one years after Max Planck had proposed it, the law still did not seem to have a solid foundation. Einstein in the meantime had come up with the Photo Electric effect in 1905, where he introduced the concept of photon, making good use of Planck’s law, especially the high frequency part.The reader had an idea, why not reverse what Einstein did, and use the photon instead to explain Planck’s theory, especially the high frequency part. Photons were considered to be identical particles, and the entire Planck Spectrum emerged from it. The reader – Satyendranath Bose or more popularly known as S.N.Bose. What emerged from the discussion, would give rise to what is called the Bose-Einstein Statistics. It would lay the foundation for the Bose-Einstein condensate theory. And also a class of particles called Bosons named after him by Paul Dirac. But then again to call him just a scientist, would be akin to calling Leonardo Da Vinci a mere painter. Much like his other namesake and contemporary, J.C.Bose, he was a polymath, equally adept in music, literature,mineralogy. The multi facted genius was born on January 1, 1894 in a middle class Kolkata family, his father Surendranath Bose, an accountant in the East India Railway Company. The only son in a family that had six daughters after him. Bought up by his mother Amodini Devi, he later joined the New Indian School in the Goabagan neigbhorhood of Kolkata. Seeing his skills at mathematics, his father encouraged him more by giving problems to solve. Joining the prestigious Hindu School in 1907 at the age of 13, he soon got recognition as an oustanding student in maths and science. His maths teacher, believed he could be the next Pierre Laplace. Soon he joined Kolkata’s prestigious Presidency College, and majored in Applied Mathematics. Again proving to be an outstanding student, graduating in 1913 with distinction. He also learnt German and French, that helped him to read scientific works in those languages. Bose entry into the world of Academia, was not an easy intiation for him. With World War I breaking out in 1914 all over Europe, scientific journals began to arrive less frequently. This just at a time, when quantum theory, relativity was arriving as a new field of study, and add to that, Kolkata University was still in a nascent stage adopting PhD programs. However the then Vice Chancellor, Sir Ashutosh Mukherjee, father of Dr.Shyam Prasad Mukherjee, began to spend funds in establishing professorships and new programs. He also gave scholarships for post graduates, and access to his own private library that had some of the best works on science and mathematics. Bose along with his friend Meghnad Saha, managed to get some of the best books through Paul Bruhl, an Austrian teaching physics at the Bengal Engineering College. By 1916 end, he started giving applied mathematics lecturers and later in physics too. He was appointed to CV Raman Chair of Physics in 1917, and by 1919, along with Saha, published English translation of Albert Einstein’s Theory of Relativity. In 1921, he was appointed at the University of Dhaka as Physics Reader, where he made his most famous discovery. Bose’s greatest achievement was his derivation of Planck’s radiation law, a problem that had occupied the minds of some of the best physicists of that time. Max Planck’s law tried to provide a solution to failure of classical physics, to account for range of electromagnetic radiation frequencies emitted by a hot body. Basically Planck’s theory stated that if energy is quantized- coming in fixed multiples of what is called as Planck’s constant- the theory of radiation could be explained. In a way that theory gave rise to what we know as Quantum Physics, and would drive the evolution of modern science. Einstein in 1905 took Planck’s theory, and applied the classical Boltzmann statistics to it, which allowed him to describe the photon. Brilliant as his work was, many leading physicists of the time, rejected it, saying that light could only travel in waves and not particles. Wave particle duality was still unheard of, the concept that circumstances determine whether light could travel as a wave or particle. It was around this time Bose was preparing to teach Planck’s theory and something did not seem right to him. What Bose did was replace Boltzmann’s statistics with his own, where the latter claimed that each particle was different from others. Bose statistical theory claimed that all particles are same, and not different. And he sent the paper called Planck’s Law and Hypothesis of Light Quanta to Philosophical Magazine. However his thesis was rejected, which was ironical as it would actually prove to be one of the most ground breaking theories ever. I have ventured to send you the accompanying article for your perusal and opinion. I am anxious to know what you think of it. You will see that I have tried to deduce the coefficient 8πν2/c3 in Planck’s Law independent of the classical electrodynamics. Einstein immediately knew that he was looking at one of the most significant breakthroughs in science. Planck’s quantum law used one of the classical physics factors, 8πν2/c3. And this mixing up of classical and quantum laws was not easily acceptable to many scientists then. Bose had managed to produce the same factor, without using any classical physics theory, but instead it came from his own hypothesis that photons with equal energy were not distinguishable from each other. Einstein translated Bose’s work into German, got it published in the journal,Zeitschrift für Physik. He called it a very important step, actually it was a ground breaking theory, that laid one of the foundations for Quantum Physics. The more Einstein dwelt over Bose theory, the more he was intrigued by it. He considered the possibility of applying Bose Quantum Statistics to a gas made of atoms to see the effects. At room temperature, the atoms in gas behave like particles. As temperature rises, the atoms gain wave nature, and move closer to each other. As temperature rises more and more, inching to absolute zero, waves merge to form a single super wave. 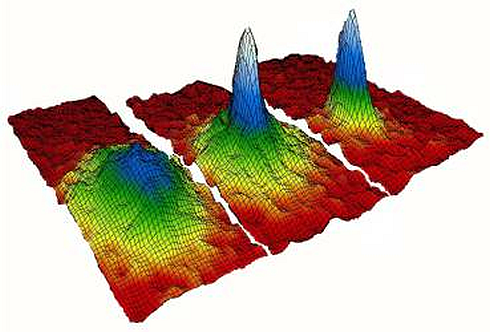 Within a millionth of a degree of absolute zero, the Bose Einstein Condensate forms, all individual atoms have merged. In December 1946, Paul Dirac coined the word bosons, in honor of Bose for particles that obey Bose-Einstein statistics and fermion in honor of Fermi for particles obeying Fermi-Dirac statistics. Bose was interested in making science popular too and also strongly supported Indian independence. He believed that a well educated, enlightened population was what could move India on the path to progress. He also promoted Bengali as a medium of instruction, translated many scientific papers into it. Apart from science, he also had a keen interest in English, Bengali literature, and even did research on it. As Head of Department for Physics at University of Dhaka, in 1926, he made it a hub for scientific research, setting up an X-Ray crystallography lab himself.Along with Meghnad Saha, Bose also published an equation of state for real gases during his stint at Dhaka. After Partition, S.N.Bose returned to Kolkata where he taught till 1956, and then later became VC of Shantiniketan too. He insisted, that every student should use local materials and technicians to design their own equipment. He later returned to Kolkata where he did research in nuclear physics, and also on organic chemistry. He also worked on applied research, he did great work in extracting helium from the hot springs at Bakreshwar. A true polymath he did research in fields as varied as literature, biotechnology, zoology,antrophology. In 1959, S.N.Bose was appointed as National Professor, the highest honor for a scholar, and was in the position for 15 years.He also worked as an advisor to the newly formed CSIR, and was General President of Indian Science Congress. And was good at playing the esraj too a form of musical instrument. 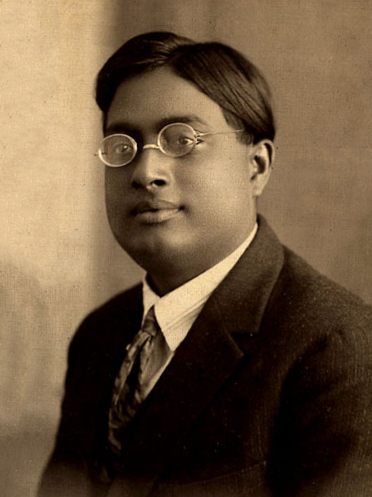 It’s sad that inspite of his pioneering research on Bosons, Quantum Statistics, Bose never got a Nobel Prize.The irony was that scientists who did research on Bosons, Bose-Einstein statistics were given Nobel, but Bose himself did not get it. Jayant Narlikar rated S.N.Bose’s work on particle statistics as one of the Top 10 Achievements of Indian science in 20th century. When asked about the Nobel, S.N.Bose simply remarked – I got all the recognition that I deserve, he was not too hung up on it.The fact that his research would play an important role in scientifc discourse was more important than the Nobel. This entry was posted in Bengal, Bengal Renaissance, Science in India, Uncategorized. Bookmark the permalink.